Emma and I, we are wondering what you a knitting… not that we are ignoring what you wrote about shoes… we actually like the comparing of cultures… I think Jon should do a blog about the differences between Swedish and British swimming pools. Sofia, I think most people would go bananas if someone wore their shoes in the house. My parents would go mad, and I like people to take their shoes off by the door. Maybe we’re not that different? 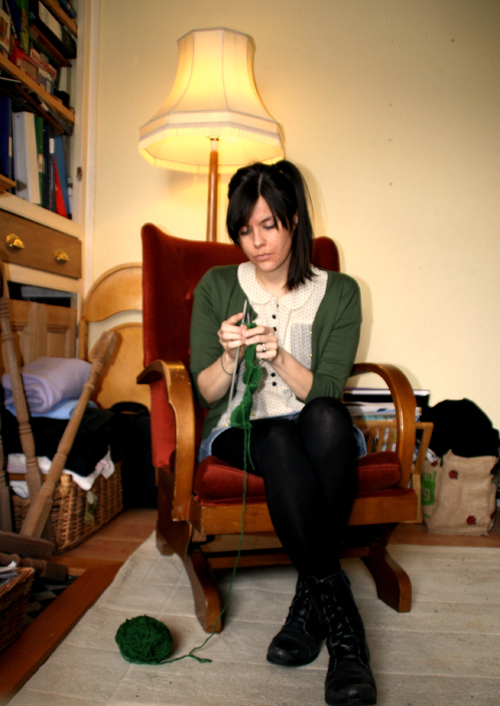 DEmma: I’m knitting something special…will share detalis when speaking with you on skype! Mark: Hmm, seems like we have an interesting discussion developing. My knowledge comes from personal experience and it’s happened quite a few times…Maybe I’ve been surrounded by rather rude people when it’s happened? Maybe the people whos house it was decided to stay quiet? Maybe it’s soemthing that happens only in Wales and not in England (your parents live their, right?)? I welcome other peoples view on this as well. Maybe my perception concerning this matter is not correct? Yes? No? 1) best if you can provide a shoe rack. But our hallways tent to be narrow so good luck with that one. 2) in most British homes you would also need to provide slippers for guests as cold draughts travel along the floors. In my kitchen or bathroom your toes would freeze off in 60 seconds flat. Otherwise, insisting on guests de-booting in a cramped hallway seems a bit prison-camp. And if carpets do end up in a sorry state there’s always these guys…. I know what you mean Sofia…we lived in Asia for years and it took me a long time to feel that maybe it was ok to keep my shoes on here again. It’s amazing how we do adapt to different cultures and then find it hard to revert to home culture. I usually offer to remove them now cos a lot of people do mind but many say don’t bother. I must agree with Mark about providing slippers…my feet really feel the cold here. In Asia they often do have ‘guest’ slippers actually…not that its cold there!